Home » Game News » How to Get the Most Out of Anthem Open Demo This Weekend! Anthem is about to open up for a second weekend of demo action and this time, everyone is invited. VIPs got to be the first to explore the game, but beginning on Friday, anyone on console or PC alike can hop into a Javelin and go for a ride. Below, we have all the information you need to take part in the demo. These include three tips to help you make the most of your limited time with this massive game. Oh, and for any VIP players who were wondering: yes, your progression from last weekend will carry over. All of your gear, weapons, Javelins, and even customisations will be waiting for you when you log in again. The Anthem demo will start you at level 10 and will allow you to progress through level 15. You’ll begin a good way into the main storyline and will find yourself in the main hub city. This free demo will be packed with much of the multiplayer questing and Javelin suit upgrading that you can expect from the full game. One weekend isn’t much time though, so here are three tips that will help you get the most of your short and sweet Anthem experience. Whenever you start a new mission (called “expeditions” in the game), you’ll be able to select the difficulty you want for the job. Selecting “Hard” or “Grandmaster” doesn’t only boost the challenge, it boosts the quality of loot that drops too! Yes, it’ll be tough at some points. But really, the difficulty doesn’t increase too drastically (at least so far in the demo), and the upgraded loot you’ll get is definitely worth it! Flying around in your Javelin exosuit is not only incredibly fun, but also an incredibly powerful skill to utilise in fire fights. It’s a skill that the game will encourage you to use more often as the difficulty increases. Using a mixture of dashing, jumping and lots of flying will allow you to pull off devastating combos with your melee, ranged and powerful ultimate abilities. When you’re choosing your Javelin class, keep in mind that each one of these exosuits flies at the same speed. What differs between Javelin types is how well they dodge, accelerate and generally manoeuvre. Like Destiny 2, Anthem can be played solo. Although you’ll enjoy new experiences when you have teammates you can rely on (or at least cry with when you die). 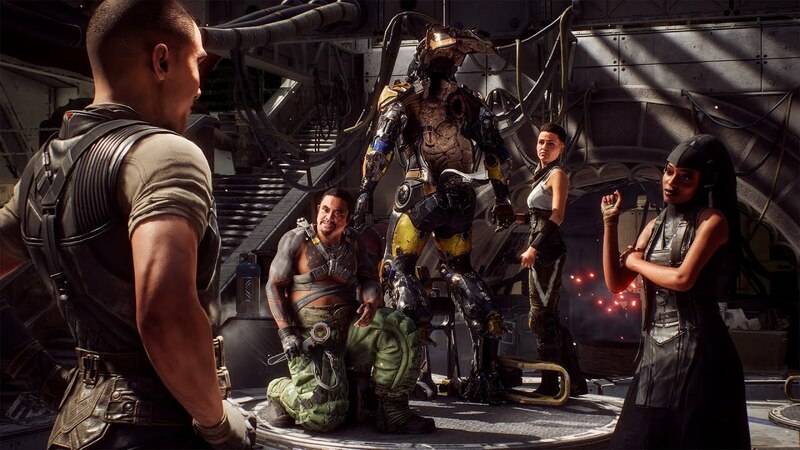 The missions in Anthem will have you not only fighting numerous hordes of enemies but also darting around the map to tackle different objectives. Your buddies can help you multi-task and make each mission full of a lot more streamlined fun. What are you going to do first during the Anthem demo weekend? If you’re a VIP who played last weekend, what’s your favourite thing about the game so far? Let us know in the comments below and keep an eye on our blog for more news.